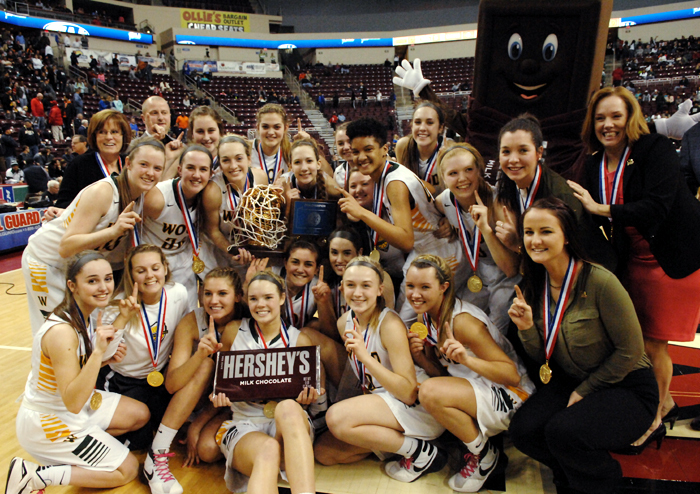 The Roman Catholic faithful hoist their championship trophy. 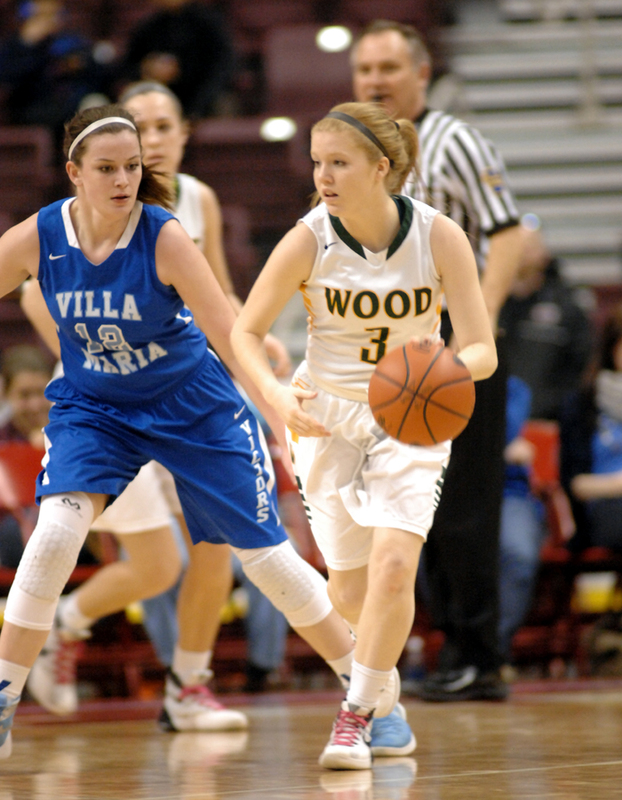 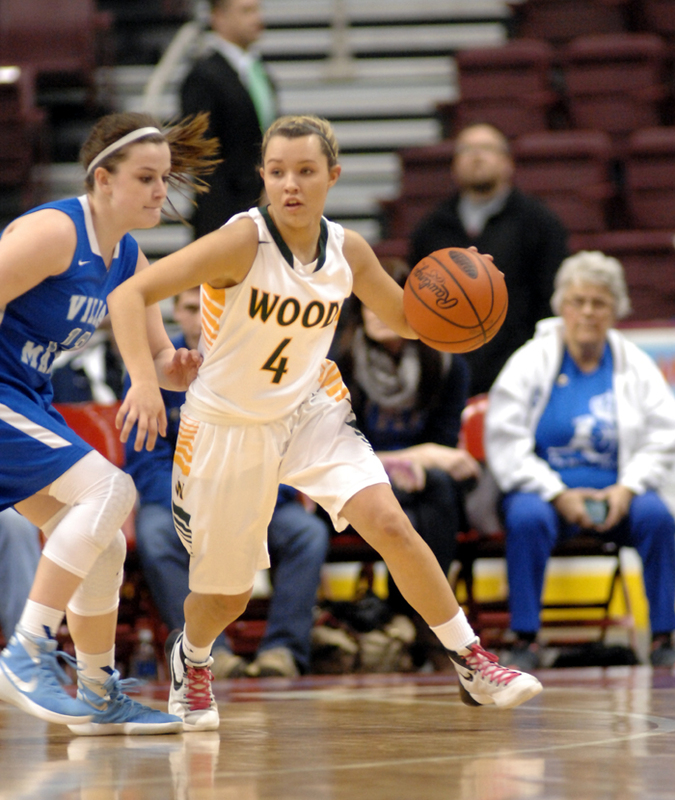 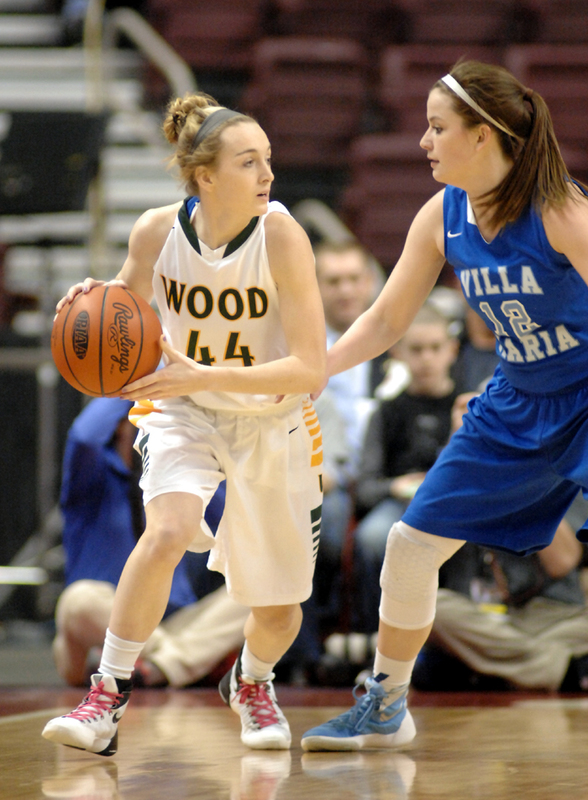 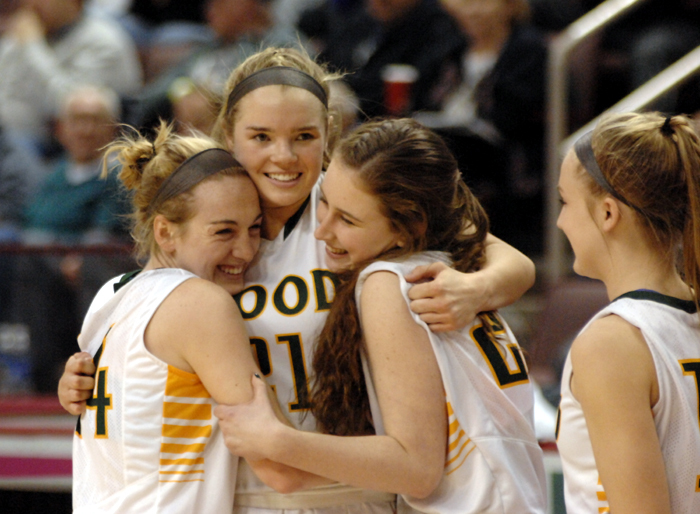 Archbishop Wood junior Cassie Sebold moves the ball around the court, looking for an open teammate. 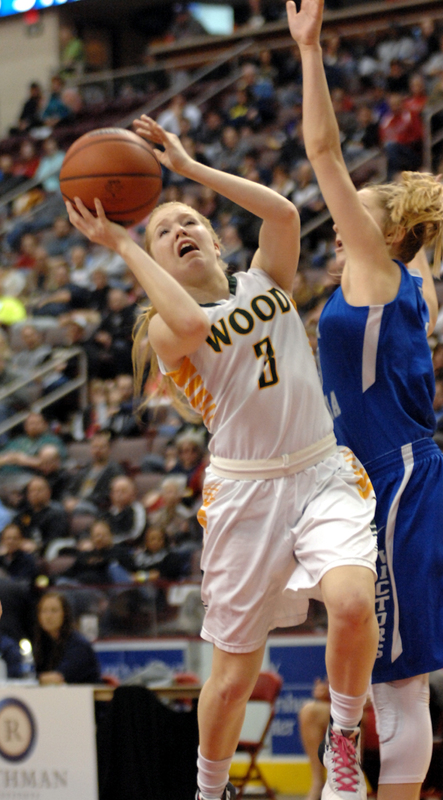 Junior Shannon May looks for an opening. 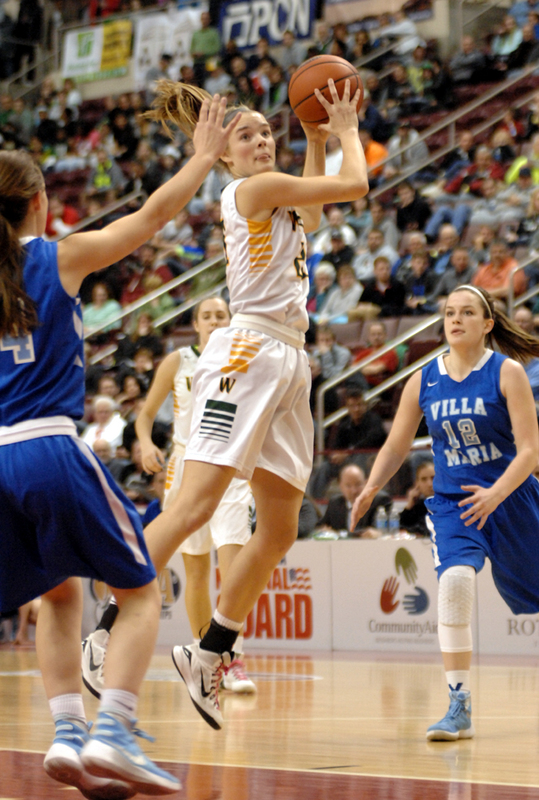 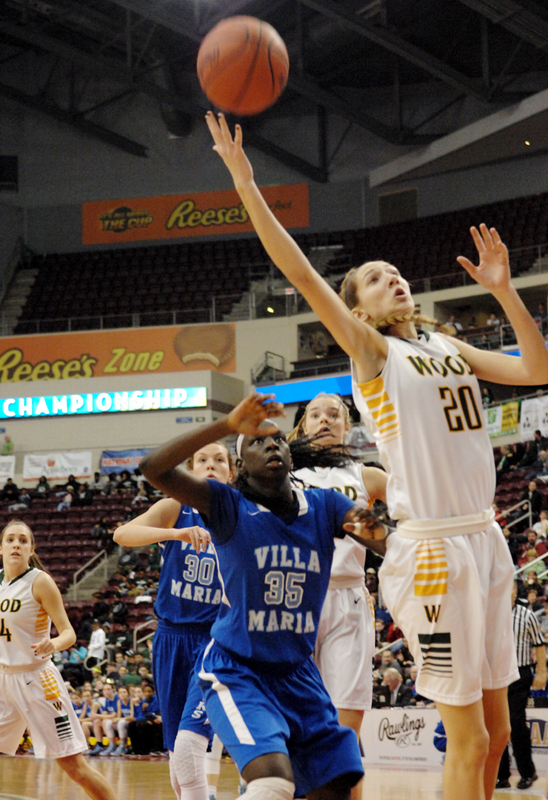 Sophomore Kate Connolly goes up for a shot for Archbishop Wood during the Vikings’ PIAA class AAA victory over Erie’s Villa Maria High School. 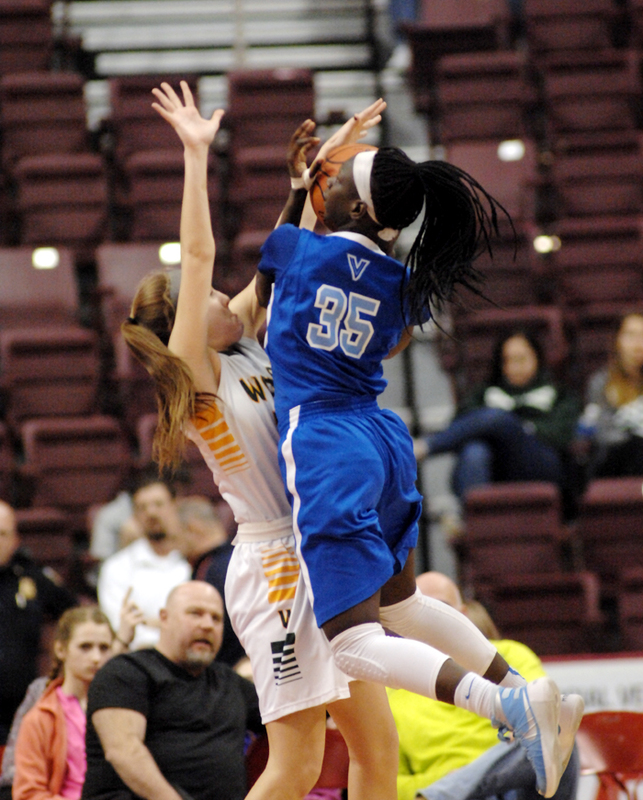 Bailey Greenburg is normally the center of attention on the court, during the game and afterward, as in the post-championship victory celebration. 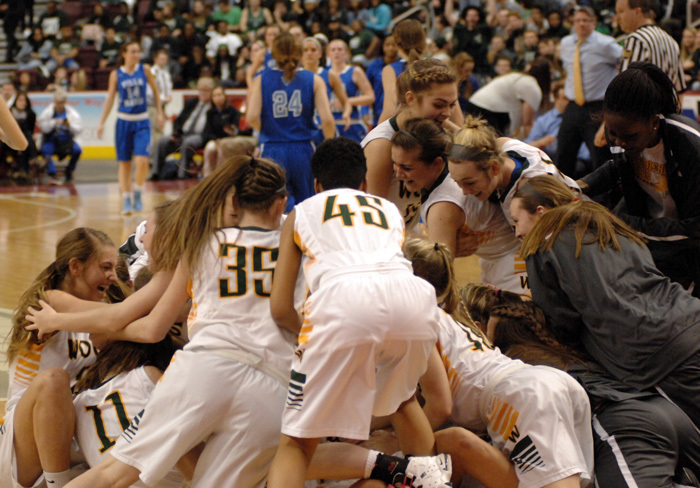 The Wood team and faithful celebrate their championship. 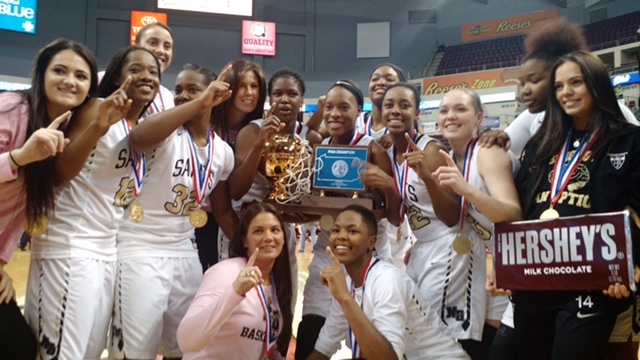 The girls of Neumann-Goretti, and their coach Andrea Peterson (center back) celebrate their second consecutive state championship March 18 in Hershey, Pa. 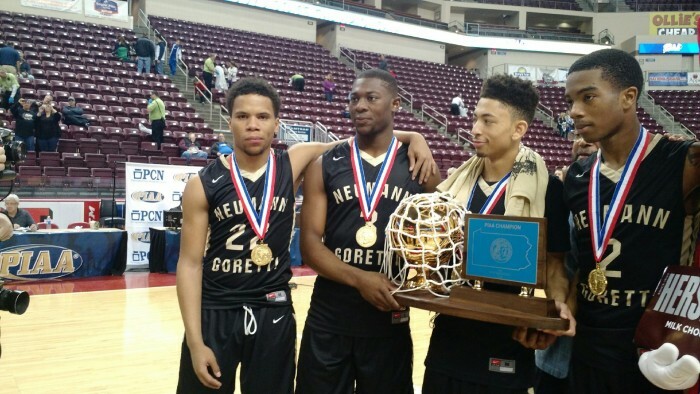 Some members of the Neumann-Goretti boys squad proudly gather around the championship trophy they earned at the PIAA state finals March 18. 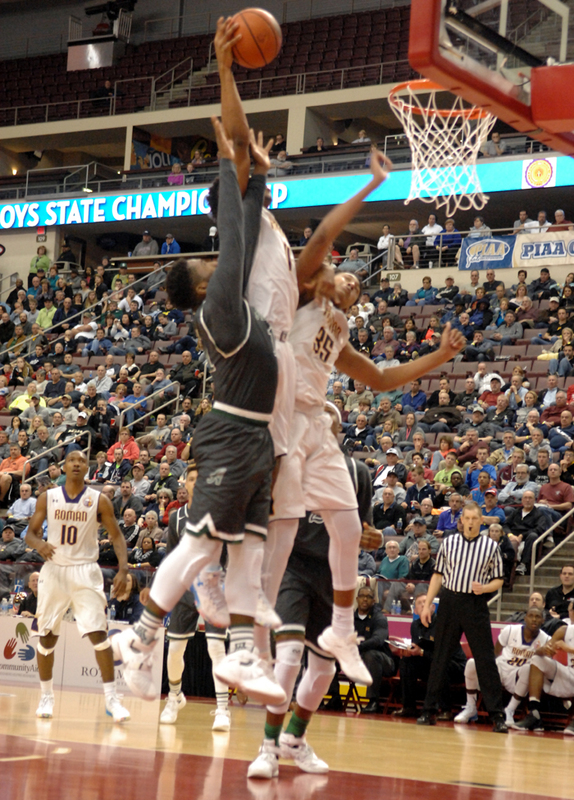 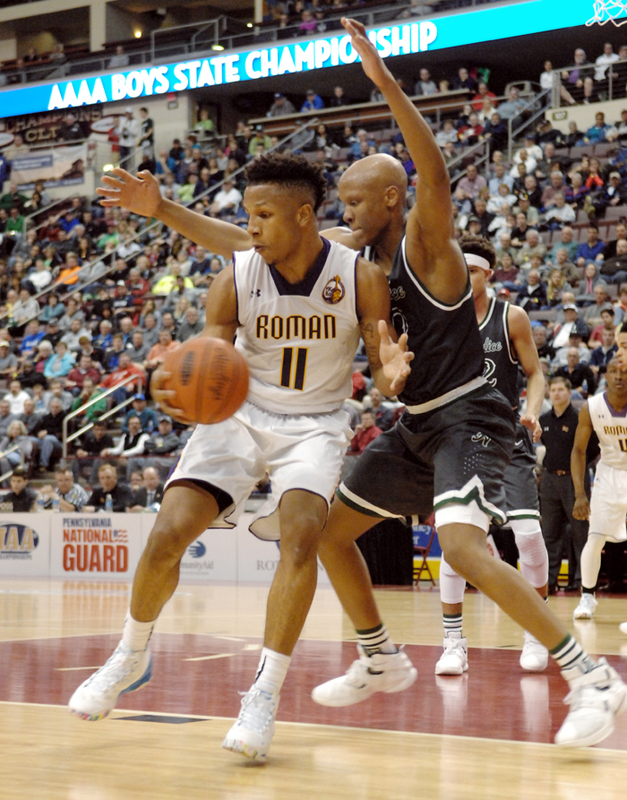 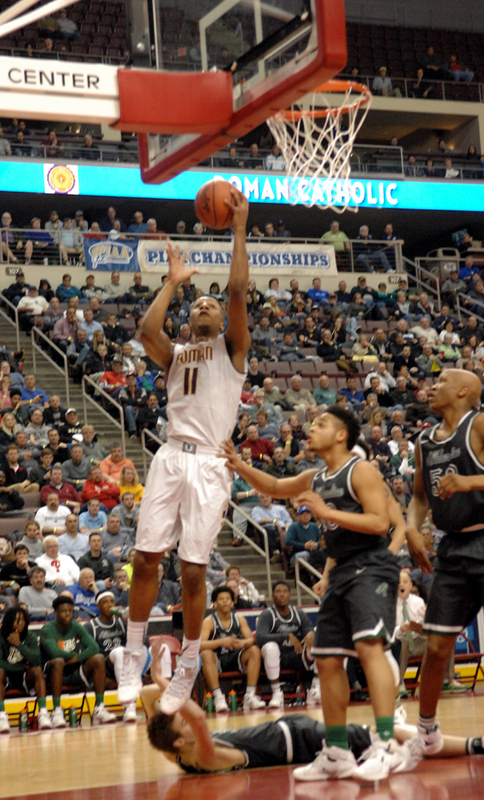 Roman star Lamar Stevens is fouled in the act of shooting during the state championship game March 19 against Pittsburgh’s Allderdice High School. 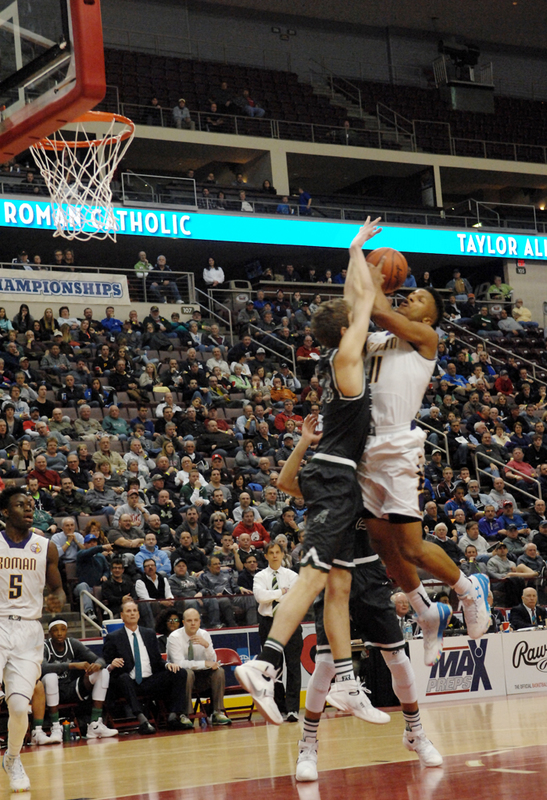 Stevens hit 11 of 12 from the free-throw line, contributing to his 27 points and seven rebounds for the game to help Roman win, 73-62.